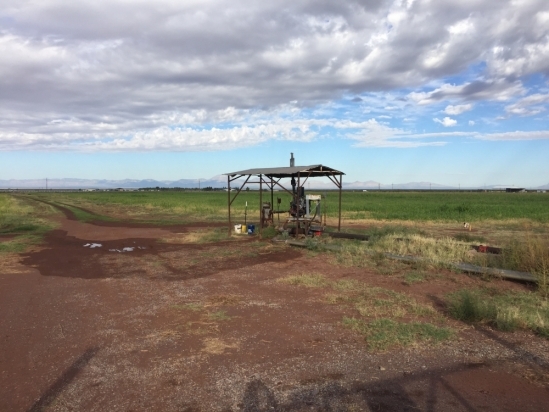 Research examining groundwater wells in the United States includes this well near Estancia, New Mexico. About 5 billion of the 7.5 billion people on Earth live in places where drinking water is becoming harder to find. The remedy is often to drill a water well deeper, but a new study published by UCSB researchers concludes there may be less drinking water in the United States than has been assumed. The researchers looked at fresh water in wells and the briny water below in the major sedimentary basins of the U.S., including the San Joaquin. Contaminants from the surface plus those from injected fluids, as well as the fact that deep, old water tends to be brackish, are complicating the picture. One reason this matters is that brackish water, which has more salt or solids in it from eons of contact with underground rock, is being desalinated by more and more water companies to create drinking water, through processes like reverse osmosis. 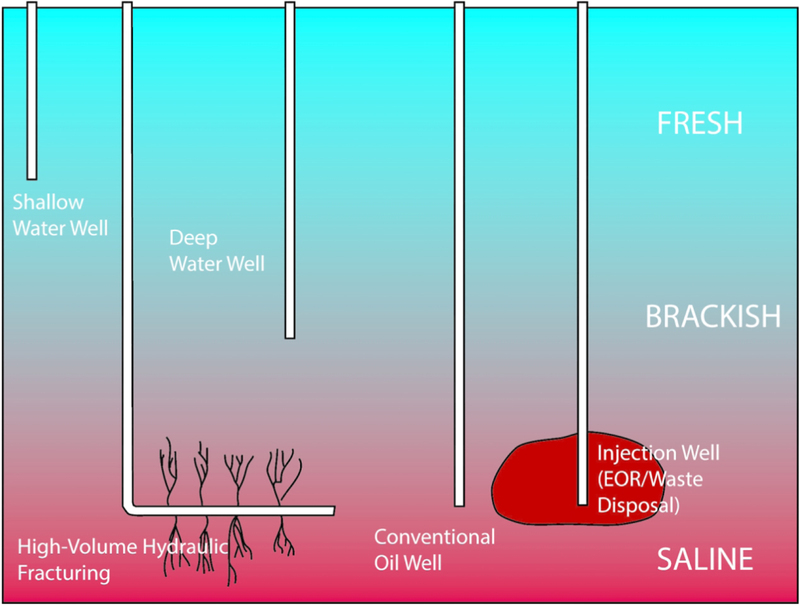 Deep groundwater resources can be threatened by oil and gas production or injection wells (not to scale). A footnote to the study, which was published in November in IOPscience with lead author Grant Ferguson of the University of Saskatchewan and Jennifer MacIntosh of the University of Arizona, mentions the federal Aquifer Exemption map, which shows the wells exempted from the Safe Drinking Water Act Underground Injection Control regulations; California is currently digitizing its information for inclusion in the map. For Santa Barbara, where water wells are dug anywhere from 60 feet deep (Santa Maria) to 2,000 feet deep (Gaviota), according to county Environmental Health, a report led by Perrone that would be locally relevant on deeper drilling is expected to publish in the coming year.